With the increasing exposure of healthcare on Instagram, Youtube and Facebook, IASTM technique has become one of the most popular. So what is it? Most people would associate this technique with big metal objects causing bright red bruises and marks. But, there is more to it than just making someone go super purple and blood shot. At Body & Health Creation, we regularly use IASTM as a technique in an osteopathic treatment. We love it, and our patients love it. 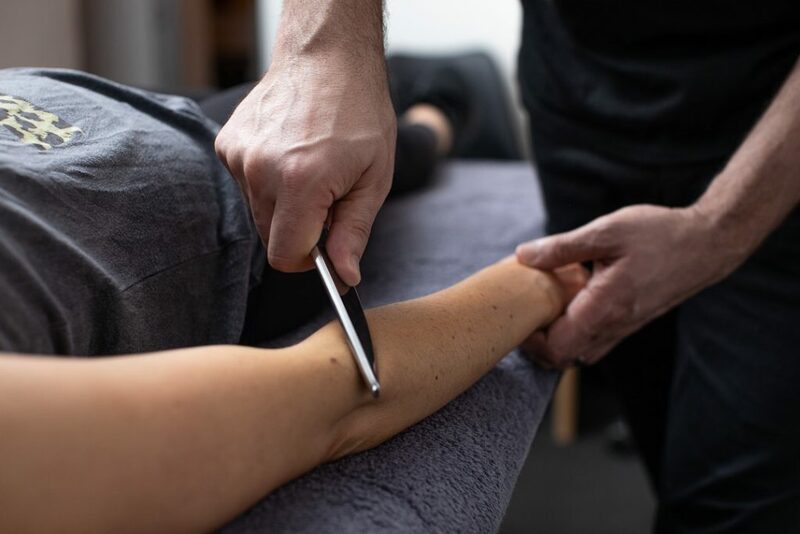 We only use the best in everything we do and our therapists use Smart Tools to provide IASTM, as they are professionally designed for Osteopaths. Instrument assisted soft tissue mobilisation (IASTM) is a popular treatment for muscle and myofascial restriction. 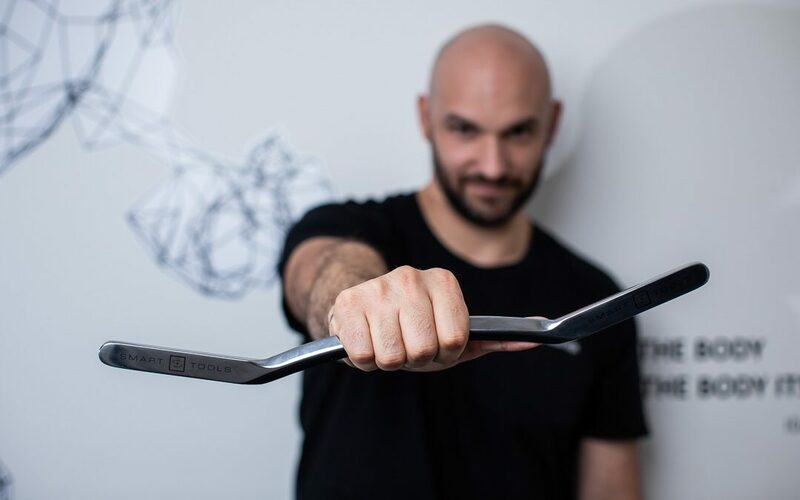 IASTM is applied using specially designed instruments to provide a mobilising effect to soft tissue (e.g., scar tissue, myofascial adhesion) to decrease pain and improve range of motion (ROM) and function. The use of the instrument provides a mechanical advantage for the practitioner by allowing deeper penetration and more specific treatment. Using instruments for soft tissue mobilisation is theorised to increase vibration sense by the practitioner and patient. The increased perception of vibration may facilitate the practitioner’s ability to detect altered tissue properties (e.g., identify tissue adhesions/tension) while facilitating the patient’s awareness of altered sensations within the treated tissues. Why perform IASTM and How does it work? Break up abnormalities in soft tissues like scar tissue. Re-initiate the first-stage healing process in the body. After an initial injury, the body sends blood with healing substances to repair the injury which builds scar tissue. A few months post initial injury, the body has completed most of its self-healing process. This process is now considered a “chronic” condition where scar tissue has built up and then restricts motion. At this point, it is necessary for the therapist to restart the healing process. IASTM causes a mild injury to the tissue which re-starts this process over again and helps the body heal itself. This procedure may cause discomfort during the procedure and possible bruising afterward. Patients may also experience soreness in the treatment area for a day or two following IASTM. However, after IASTM treatment the patient’s pain will decrease, range of motion will improve, and this will lead to overall improvement in their functional mobility. Although the IASTM blades look very painful and somewhat frightening, most people find it bearable and therapeutic. Our therapists, will always work with the patients pain threshold, gradually increasing friction and pressure as the client relaxes and adapts with the technique. The skin can come up red and blood shot, this is normal and will subside after 2 – 3 days. To experience IASTM book online or if you have any further questions, leave your details below and one of our Osteopaths will get in contact with you.